Richardson, TX — September 27, 2016 — After a series of strict evaluations spanning over eight months, Systemates Inc. is excited to announce its recent SOC 2 Type II report. 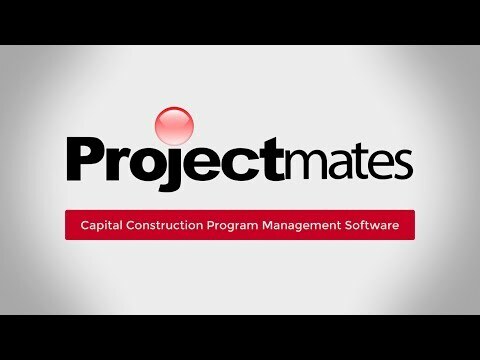 As one of the leading providers of cloud-based construction program management software, this certification is a testament to Projectmates' ability to maintain the security of its clients' data and the dedication Systemates, Inc. has to security. "As the Vice President of a software and technology company, I am just as concerned about protecting our source code and program data, as my counterparts are about protecting their prototypes and project data," said Hemant Bhave, Vice President of Systemates. "We demand the highest level of security from our datacenter vendor, and believe Systemates should deliver the highest level of security and confidence to our clients as their vendor." SOC is an internationally recognized auditing standard for security compliance. The SOC 2 Type II Report is issued to an organization following a 6-12 month audit of every facet of the organization; including: the financial stability and longevity of the company, documenting every procedure, firewall security, disaster recovery, secure protocols for database access, and ensuring security compliance among all employees. The Report is only valid for 12 months, so annual audits, to ensure compliance with security standards, are mandatory. We demand the highest level of security from our datacenter vendor, and believe Systemates should deliver the highest level of security and confidence to our clients as their vendor."